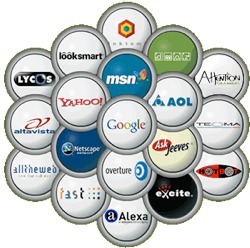 WOF: What search engine did you use before Google? Besides carrying one of the world's most powerful brands, for many of us Google also drives the technology behind our email, instant messaging, calendar, mapping tool and whatnot. Not bad for a company with little over 10 years of life, many of us have been surfing the web longer than that. Which brings the question: Speaking specifically of web search, what were you using before Google came along? Or if you don't rely on Google today, what's your preferred search engine? For me it was mostly Altavista, but before that I also used to check Lycos, HotBot, WebCrawler and the Yahoo Directory.